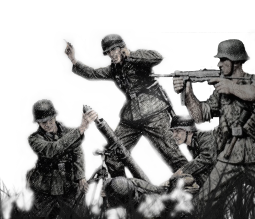 Europe in Ruins takes the fast paced, intense and surreal combat that you've come to know from Company of Heroes and combines it with persistent environment, ever changing meta-gameplay and ongoing war. 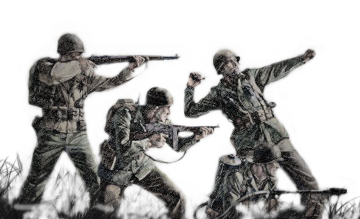 The modification sees you creating and commanding your very own battalion in which you can customise with any units and upgrades you wish; Company of Heroes strategy has never had so much choice. Not only do you get to build up your battalion, but as you units battle, they will gain and retain all the experience they have earned, carrying over from battle to battle; going from green to elite! Not only do units gain veterancy, but your battalion as a whole increases in effectiveness through doctrine unlocks and other advantages. 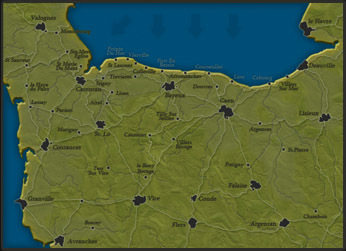 Each of these are designed so that the player can tailor their battalion to their own likes and play styles. The combinations choices are endless! A new game mode: Reinforcements. Which sees players coming in at different stages of the battlefield. 34 maps specifically designed for Europe in Ruins as well as the ability to play all of your old Company of Heroes favourites! Complete persistency, All units retain vet, and continue to use it in their next battles.